When was the last time you saw the end of your inbox? 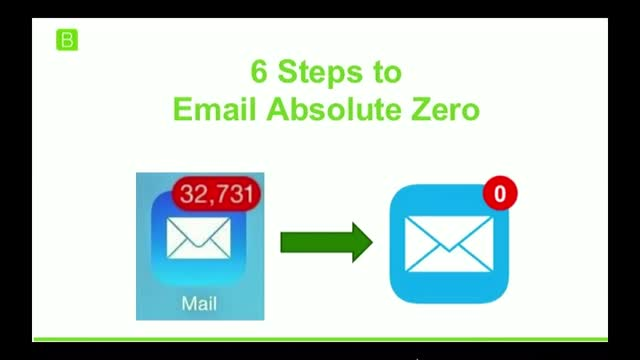 Do you have 10,000+ unopened emails? This has an odd effect on your psychology. You are always "catching up". Thats no way to live. I was just like you. I had way too many unopened emails. It could have taken teams of people to get through them. TEAMS! Now, I end the day on Inbox Zero. It looks great, and feels better. This webinar will show you how I did this, how you can do this too, and why it is helpful in achieving your goals.